When SMOK designed their M17 Vape Pen, they came-up with a mouth-to-lung vape like no other. 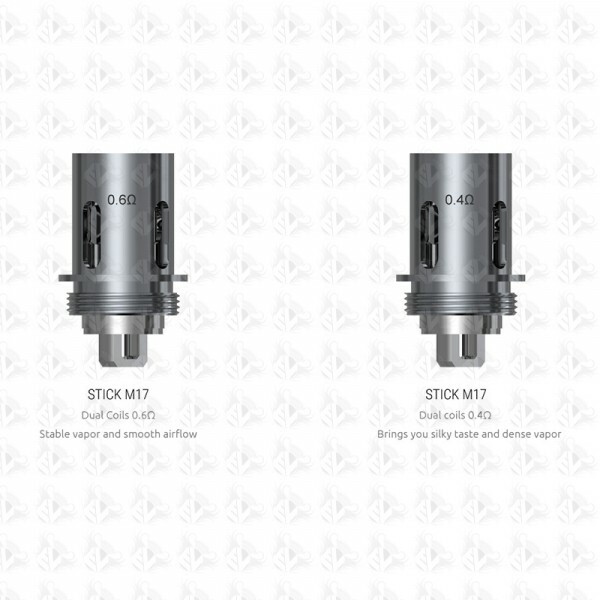 This 5 Pack of SMOK Stick M17 coils will restore the full-flavour output of your M17 device! Offered in a choice of two resistances, SMOK’s replacement M17 coils use multi-core, sub-ohm coil technology to get the best possible vape from your available battery power.